We are inviting all organizations and individuals passionate about increasing voter turnout and engagement. 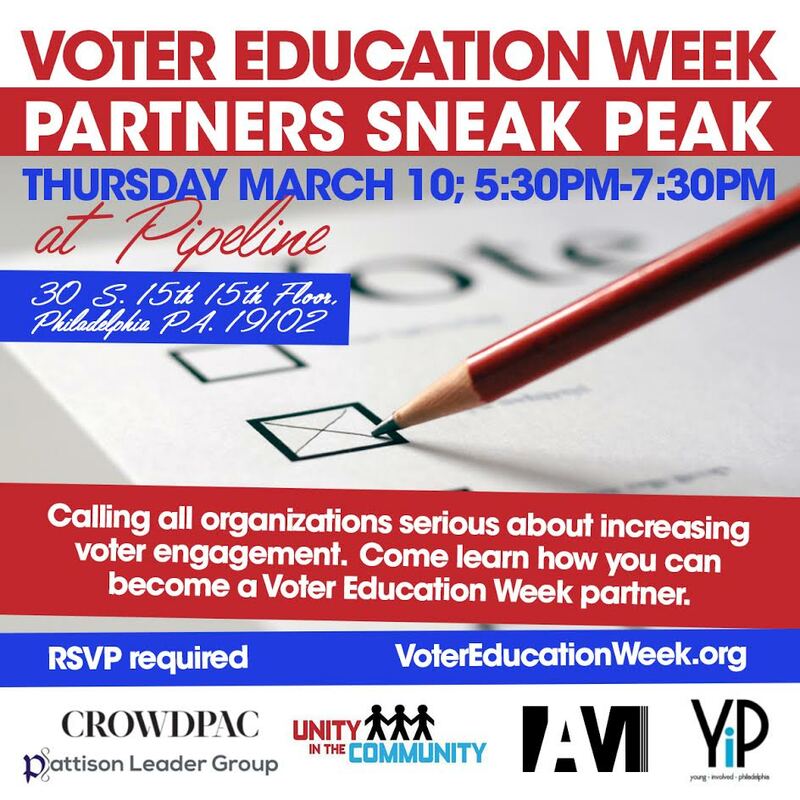 If you are hosting an event leading up to the primary election, come share it with us and add it to the official voter education week calendar so we can help promote it. If you are interested in hosting an event but not sure what or how to do it, we will have some resources to help get you started! The Voter Education Week calendar is open to both nonpartisan and partisan events. Wine and light refreshments will be served. RSVP required. Visit www.votereducationweek.org to confirm your attendance.